All Regular, Special, Emergency and Executive Session Meetings of the __________ County Commissioners Court will be called and conducted in accordance with the provisions of the Texas Open Meetings Act, Chapter 551, Government Code. Regular, Special and Emergency Meetings of the _________ County Commissioners Court are open to the public and to representatives of the press and media. Executive Sessions of the Commissioners Court are not open to the public, the press or the media and only those individuals expressly requested or ordered to be present are allowed to attend Executive Sessions. The ______________ County Commissioners Court meets in Regular Session on the second and fourth Mondays of each month. In order for a matter or issue to appear as an agenda item on the Agenda of any Regular Meeting of the Commissioners Court, a request must be filed with and approved by at least one member of the Commissioners Court and/or the County Judge by 12:00 p.m. (noon) on the Wednesday immediately preceding the next Regular Meeting of the Commissioners Court. Each member of the public who appears before the Commissioners Court shall be limited to a maximum of five (5) minutes to make his/her remarks. Time for each speaker shall be maintained by the County Clerk or such other designated representative of the Commissioners Court. Maximum discussion on any agenda item, regardless of the number of members of the public wishing to address the Commissioners Court on such agenda item (or items) shall be limited to thirty (30) minutes. In the event that more than six (6) members of the public wish to address a particular agenda item (or items), then only the first six (6) members of the public recognized to speak shall be divided equally between those members of the public wishing to speak for the agenda item (or items) and those members of the public wishing to speak against the agenda item (or items). In matters of exceptional interest, the Court may, by the majority vote of the members of the Court in attendance at the meeting, either shorten or lengthen the time allocated for a particular member of the public, all members of the public and/or the amount of time allocated for all agenda items and/or a specific agenda item. It is the intention of the Court to provide an open access to the citizens of __________ County to address the Commissioners Court and to express themselves on issues of county government. Members of the public are reminded that the ________________ County Commissioners Court is a Constitutional Court, with both judicial and legislative powers, created under Article V, Section 1 and Section 18 of the Texas Constitution. As a Constitutional Court, the ______________ County Commissioners Court also possesses the power to issue a Contempt of Court Citation under Section 81.024 of the Texas Local Government Code. Accordingly, all members of the public in attendance at any Regular, Special and/or Emergency meeting of the Court shall conduct themselves with proper respect and decorum in speaking to, and/or addressing the Court; in participating in public discussions before the Court; and in all actions in the presence of the Court. Proper attire for men, women and children is mandatory. Those members of the public who are inappropriately attired and/or who do not conduct themselves in an orderly and appropriate manner will be ordered to leave the meeting. Refusal to abide by the Court’s order and/or continued disruption of the meeting may result in a Contempt of Court Citation. such other civil and/or criminal sanctions as may be authorized under the Constitution, Statutes and Codes of the State of Texas. The County Judge is the presiding officer of the _____________ County Commissioners Court and is a fully participating member thereof. In the event of the absence of the County Judge, the senior member of the Commissioners Court (in terms of total number of years as an elected representative) present at the Regular, Special, Emergency meeting or Executive Session, shall serve as the Judge Pro-Tem of the Court. However, nothing herein shall prevent the senior member of this Commissioners Court from delegating this duty to another member of the Commissioners Court. The County Judge (or the designated Judge Pro-Tem of the Commissioners Court), as presiding officer of the Commissioners Court, is responsible for conducting all meetings and members of the public who have properly completed a Public Participation Form and submitted same to the County Clerk must wait to be recognized before they will be allowed to address the Court. No media personnel or equipment, including lights, cameras or microphones will be located on the Commissioners Court bench nor closer than five (5′) feet in front of the Commissioners Court bench. Reporters and media technicians are required to structure their movements, equipment setup and take-down and adjustments, etc., in such a manner as to not disrupt the Commissioners Court deliberations or the ability of the public to see, hear, and participate in the proceedings. Interview shall not be conducted inside the Commissioners Courtroom during the time the Court is in session. Media interviews which are conducted outside the Commissioners Courtroom should be conducted in such a manner that the interview does not disturb, impede or disrupt the proceedings of any regular, special, or emergency and/or executive session of the court. The Sheriff of ______________ County, Texas, or his designated deputy, shall serve as the bailiff at all regular, special, and emergency meetings of the Court. However, in the event of the absence of the sheriff, or in the event that there exists a conflict of interest between the sheriff, any member of the sheriff’s department, and the Commissioners Court, or in the event of an Executive session of the Court in which the Sheriff is not an authorized participant, then in such event, the Court shall appoint such other commissioned peace officers to serve as bailiff as may be necessary. From time to time, the Commissioners Court shall conduct town meetings and public hearings. These rules of procedure, conduct and decorum shall also apply to such town meetings and public hearings; however, the Commissioners Court may adopt such additional and supplemental rules for such meetings as may be necessary and appropriate to conduct such meetings in an orderly, efficient and proper manner. These Rules of Procedure, Conduct and Decorum at Meetings of the _____________ County Commissioners Court shall be effective immediately upon adoption by the Court and shall remain in full force and effect until amended or repealed by a majority vote of the Commissioners Court. with disabilities or persons 65 years of age or older (RQ-0171-GA). implementation as the base tax year. under Local Government Code chapter 232 (RQ-0177-GA). 406.013 requires a county clerk to accept faxed real estate filings. penalties under section 11.004(b) of the Property Code. accept and dispose of federal surplus property (RQ-0181-GA). of the commissioners court and entered in the minutes. the sheriff in performing that office’s statutory functions. particular county property would need to be resolved on a case-by-case basis. authorizing the county to acquire and operate property for this purpose. Parker County officially opened the first segment of the Ric Williamson Memorial Highway (RWMH), the largest of the 35 projects comprising the Parker County Transportation Bond Program approved by voters in 2008. The county celebrated with a ribbon-cutting ceremony on Jan. 27. The RWMH will be completed in five sections comprised of three road segments and two intersections. The recently completed section will extend south from FM 51 through the FM 920 intersection. In subsequent project segments, the RWMH will extend to an intersection with U.S. 180 and further south to an interchange with IH-20. The five segments will form the northwest quadrant of a loop around the city of Weatherford. The $26.44 million project broke ground in April 2011. With phase one of the project now open to the public, construction continues on phases two and three. The entire 5.6-mile project is expected to be finished in early 2014. The highway was named in honor of Ric Williamson, a Parker County resident who served as the chairman of the Texas Department of Transportation’s Highway Commission. He also represented Parker County in the Texas House of Representatives from 1985 to 1999. Williamson passed away in December 2007. Travis County District Judge Orlinda Naranjo recently ordered the Texas Department of State Health Services to admit mentally incompetent county jail inmates within 21 days of receipt of the commitment order. While the order is not final and may be appealed by the attorney general, it has revealed the increasing problem of underfunded state hospital beds at the Texas Department of State Health Services. The Texas Legislature has provided funding for only 800 hospital beds for statewide treatment of incompetent jail inmates. These inmates are awaiting trial, but have been found to be unable to participate in their defense because of mental illness. Since 2005, these inmates have been subjected to an average wait of six months in the county jail before transfer to a state hospital. During this delay the county is solely responsible for the costs of their confinement. These inmates often require separation and additional supervision at increased cost to the county. Of course, confinement in the county jail without treatment is also detrimental to the mental health of the inmate. “Keeping incompetent pretrial criminal defendants confined in county jail for unreasonable periods of time prior to being admitted to a state mental health facility or residential health facility violates the incompetent detainees’ due process rights as guaranteed by the Texas Constitution” stated Naranjo. The effect of this unfunded mandate comes as no surprise to sheriffs and commissioners courts who have urged adequate state mental health funding for many years. Since Texas ranks last in the nation in per capita spending on mental health, conditions are unlikely to improve without additional appropriations from the state. Whether this court ruling will stimulate action or more delay remains to be seen. Greetings! I hope we are all settling into the new year well and winding down from all the excitement the holidays bring. If you are like most, and I am, the holidays have been good to us, and we see and feel that a little in our wasteline. Oh well, we now have this new year to work it all off, hopefully get into better shape, and become more healthy doing it. · After issuance of redistricting plans, one to three weeks are required to prepare election precinct boundaries for adoption by commissioners courts. This time includes ensuring that there is an available polling place for each precinct. · After approval of election precinct boundaries by commissioners courts, three to four weeks are required to update voter registration information to be able to print voter certificates and ballots. While part of this delay is caused by the required DOJ pre-clearance, a minimum of two weeks is required due to the required manual entry of voter data into the voter registration system to account for the new precinct boundaries. · After updating voter registration information, two to three weeks are required to print voter certificates and ballots. Once the precincts and candidates are set, counties generally need 10 days to two weeks for the ballot generation, proofing, review by the political parties, and equipment testing before ballots can be printed and mailed. Counties that rely on a vendor to print their absentee ballots or program their voting equipment probably need three full weeks. counties. 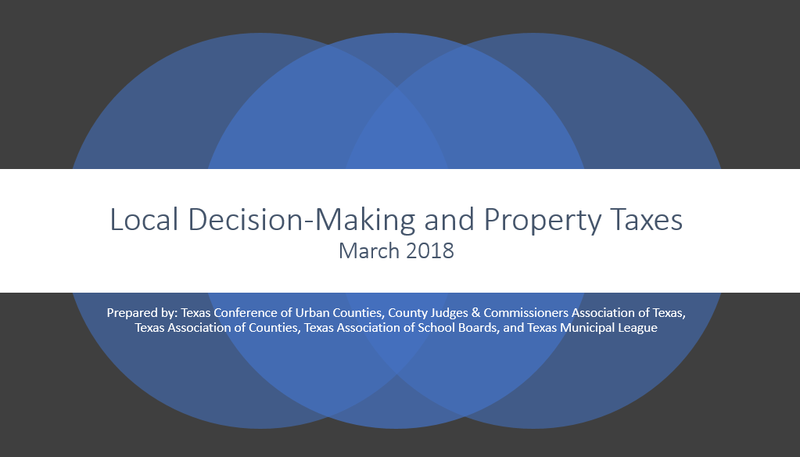 If the final maps differ substantially from both the maps approved by the Texas Legislature and the maps previously ordered by the federal court, then counties impacted by those differences will require more time than set forth above. For that reason, counties are requesting that any election schedule ordered by the court at this time be contingent on final maps that are substantially similar to the maps approved by the Texas Legislature or the maps previously entered by the court. Our county organizations are simply advocating for sufficient time in the adopted schedule for counties to physically be able to comply by conducting the elections. Counties should not have to spend significant staff time and expense making changes to voter registration records and mailing voter registration certificates for election precincts that are ultimately rejected by the Department of Justice.